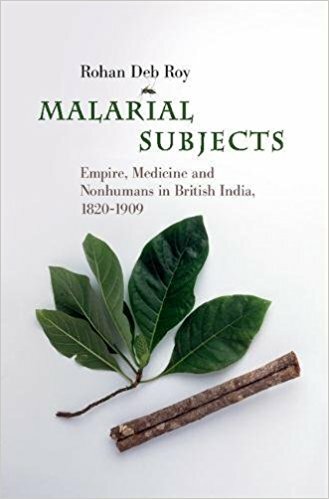 There will be a roundtable to celebrate the launch of Rohan Deb Roy’s Malarial Subjects: Empire, Medicine and Nonhumans in British India, 1820-1909 (Cambridge, 2017) on 26th February 2018 at the Royal Asiatic Society (14 Stephenson Way, Kings Cross, London NW1 2HD). The event will start at 6 pm. Speakers include Professor Clare Anderson (Leicester), Dr. Nayanika Mathur (Oxford), Dr. Sujit Sivasundaram (Cambridge), Professor Richard Drayton (King’s College London), and Professor Simon Schaffer (Cambridge). A pdf of the book can be accessed here.